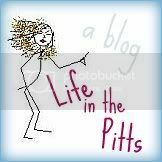 Life in the Pitts: It wouldn't be cute. But it would be accurate. Picture of my unshaven legs and unclipped toenails. Too "real" for instagram? Because right now, that describes my life.